* Frank R. Paul is almost universally recognized as the "Father of Science Fiction Illustration," and rightly so, since his work has influenced and inspired generations of artists and visionaries over the past eighty years. From Flash Gordon to Luke Skywalker, Paul's presence is still being felt in the twenty-first century. Jerry Weist, noted Science Fiction historian, scholar, and founding editor of the prestigious EC comic fanzine Squa Tront, has turned his keen insight towards Paul, who envisioned a world of futuristic cities, space travel, and alien life forms. These fantastic visions were realized in the pages of Amazing Stories and hundreds of other science fiction pulps and digest magazines. Weist, who authored Ray Bradbury: An Illustrated Life in collaboration with Bradbury has brought together informative text on Paul and a visual record of nearly every one of his incredible covers, as well as some of his very best, and rarely seen, pen and ink interior illustrations. 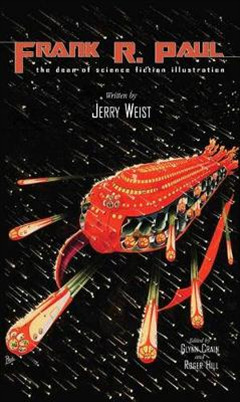 Featuring an Introduction by Hugo Award-winning science fiction illustrator Vincent Di Fate, this will be a visual feast for lovers of classic science fiction art.